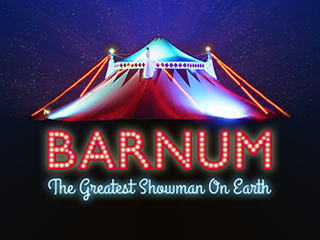 caods is pleased to announce that Team Kinetix will be supporting us in our next production of ‘Barnum’. Team Kinetix are a professional parkour, freerunning and acrobatic team. They will be providing circus skills training for the cast, tightrope training for our P.T. Barnum and supporting us with safety equipment for the show. On Sunday 20 March our members took part in a workshop for ‘Barnum’ which included circus skills training provided by Team Kinetix and production numbers and show talks by our director Ray Jeffery. The day was a great success for members old and new.